Lu, C.D., M.J. Potchoiba, and E.R. Loetz. 1991. “Influence Of Vacuum Level, Pulsation Ratio And Rate On Milking Performance And Udder Health In Dairy Goats”. Small Ruminant Research 5 (1-2). Small Ruminant Research: 1 - 8. doi:10.1016/0921-4488(91)90025-L. http://linkinghub.elsevier.com/retrieve/pii/092144889190025L. Kawas, J.R., J. Lopes, D.L. Danelon, and C.D. Lu. 1991. “Influence Of Forage-To-Concentrate Ratios On Intake, Digestibility, Chewing And Milk Production Of Dairy Goats”. Small Ruminant Research 4 (1). Small Ruminant Research: 11 - 18. doi:10.1016/0921-4488(91)90048-U. http://linkinghub.elsevier.com/retrieve/pii/092144889190048U. Santini, F.J., C.D. Lu, M.J. Potchoiba, J.M. Fernandez, and S.W. Coleman. 1992. “Dietary Fiber And Milk Yield, Mastication, Digestion, And Rate Of Passage In Goats Fed Alfalfa Hay”. Journal Of Dairy Science 75 (1). Journal Of Dairy Science: 209 - 219. doi:10.3168/jds.S0022-0302(92)77755-8. http://linkinghub.elsevier.com/retrieve/pii/S0022030292777558. Sahlu, T., H. Carneiro, H.M. El Shaer, and J.M. Fernandez. 1992. “Production Performance And Physiological Responses Of Angora Goat Kids Fed Acidified Milk Replacer”. Journal Of Dairy Science 75 (6). Journal Of Dairy Science: 1643 - 1650. doi:10.3168/jds.S0022-0302(92)77921-1. http://linkinghub.elsevier.com/retrieve/pii/S0022030292779211. Sahlu, T., N. Jacquemet, H. Carneiro, S. P Hart, and P. D Klein. 1992. “Application Of 13 Co 2 Measurements To The Estimation Of Energy Expenditure In Goats”. Canadian Journal Of Animal Science 72 (2). Canadian Journal Of Animal Science: 245 - 252. doi:10.4141/cjas92-031. http://pubs.aic.ca/doi/abs/10.4141/cjas92-031. Sahlu, T., J.M. Fernandez, C.D. Lu, and M.J. Potchoiba. 1992. “Influence Of Dietary Protein On Performance Of Dairy Goats During Pregnancy”. Journal Of Dairy Science 75 (1). Journal Of Dairy Science: 220 - 227. doi:10.3168/jds.S0022-0302(92)77756-X. http://linkinghub.elsevier.com/retrieve/pii/S002203029277756X. Sahlu, T., S.P. Hart, and J.M. Fernandez. 1993. “Nitrogen Metabolism And Blood Metabolites In Three Goat Breeds Fed Increasing Amounts Of Protein”. Small Ruminant Research 10 (4). Small Ruminant Research: 281 - 292. doi:10.1016/0921-4488(93)90133-3. http://linkinghub.elsevier.com/retrieve/pii/0921448893901333. Sahlu, T., J.M. Fernandez, Z.H. Jia, A.O. Akinsoyinu, S.P. Hart, and T.H. Teh. 1993. “Effect Of Source And Amount Of Protein On Milk Production In Dairy Goats”. Journal Of Dairy Science 76 (9). Journal Of Dairy Science: 2701 - 2710. doi:10.3168/jds.S0022-0302(93)77606-7. http://linkinghub.elsevier.com/retrieve/pii/S0022030293776067. Lu, C.D. 1993. “Implication Of Feeding Isoenergetic Diets Containing Animal Fat On Milk Composition Of Alpine Does During Early Lactation”. Journal Of Dairy Science 76 (4). Journal Of Dairy Science: 1137 - 1147. doi:10.3168/jds.S0022-0302(93)77442-1. http://linkinghub.elsevier.com/retrieve/pii/S0022030293774421. Hart, S.P., T. Sahlu, and J.M. Fernandez. 1993. “Efficiency Of Utilization Of High And Low Quality Forage By Three Goat Breeds”. Small Ruminant Research 10 (4). Small Ruminant Research: 293 - 301. doi:10.1016/0921-4488(93)90134-4. http://linkinghub.elsevier.com/retrieve/pii/0921448893901344. Teh, T.H., L.T. Trung, Z.H. Jia, T.A. Gipson, K.B. Ogden, and T.F. Sweeney. 1994. “Varying Amounts Of Rumen-Inert Fat For High Producing Goats In Early Lactation”. Journal Of Dairy Science 77 (1). Journal Of Dairy Science: 253 - 258. doi:10.3168/jds.S0022-0302(94)76948-4. http://linkinghub.elsevier.com/retrieve/pii/S0022030294769484. Pierzynowski, S.G., T. Sahlu, R. Puchala, S.P. Hart, and A. Al-Dehneh. 1994. “Local Infusion Of Glucose And Insulin In Isolated Skin Perfusion Sites In Angora Goats”. Small Ruminant Research 14 (2). Small Ruminant Research: 137 - 141. doi:10.1016/0921-4488(94)90103-1. http://linkinghub.elsevier.com/retrieve/pii/0921448894901031. Dawson, L.J., T. Sahlu, S.P. Hart, G. Detweiler, T.A. Gipson, T.H. Teh, G.A. Henry, and R.J. Bahr. 1994. “Determination Of Fetal Numbers In Alpine Does By Real-Time Ultrasonography”. Small Ruminant Research 14 (3). Small Ruminant Research: 225 - 231. doi:10.1016/0921-4488(94)90045-0. http://linkinghub.elsevier.com/retrieve/pii/0921448894900450. Zeng, S.S., and E.N. Escobar. 1995. “Effect Of Parity And Milk Production On Somatic Cell Count, Standard Plate Count And Composition Of Goat Milk”. Small Ruminant Research 17 (3). Small Ruminant Research: 269 - 274. doi:10.1016/0921-4488(95)00658-8. http://linkinghub.elsevier.com/retrieve/pii/0921448895006588. Smuts, M., S.G. Pierzynowski, R. Puchala, A. Al-Dehneh, T. Sahlu, J.M. Fernandez, and R.N. Heitmann. 1995. “Effect Of Mimosine On Portal-Drained Visceral Net Flux And Concentrations Of Amino Acids And Minerals In Plasma Of Alpine Goats”. Small Ruminant Research 18 (1). Small Ruminant Research: 43 - 49. doi:10.1016/0921-4488(95)00698-K. http://linkinghub.elsevier.com/retrieve/pii/092144889500698K. Sahlu, T., S.P. Hart, T. Le-Trong, Z. Jia, L. Dawson, T. Gipson, and T.H. Teh. 1995. 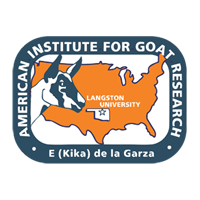 “Influence Of Prepartum Protein And Energy Concentrations For Dairy Goats During Pregnancy And Early Lactation”. Journal Of Dairy Science 78 (2). Journal Of Dairy Science: 378 - 387. doi:10.3168/jds.S0022-0302(95)76646-2. http://linkinghub.elsevier.com/retrieve/pii/S0022030295766462. Puchala, R., T. Sahlu, M.J. Herselman, and J.J. Davis. 1995. “Influence Of Betaine On Blood Metabolites Of Alpine And Angora Kids”. Small Ruminant Research 18 (2). Small Ruminant Research: 137 - 143. doi:10.1016/0921-4488(95)00725-Z. http://linkinghub.elsevier.com/retrieve/pii/092144889500725Z. ła, R., T. Sahlu, Jennifer J Davis, and S.P. Hart. 1995. “Influence Of Mineral Supplementation On 2,3-Dihydroxypyridine Toxicity In Angora Goats”. Animal Feed Science And Technology 55 (3-4). Animal Feed Science And Technology: 253 - 262. doi:10.1016/0377-8401(95)00794-N. http://linkinghub.elsevier.com/retrieve/pii/037784019500794N. Jia, Z.H., T. Sahlu, J.M. Fernandez, S.P. Hart, and T.H. Teh. 1995. “Effects Of Dietary Protein Level On Performance Of Angora And Cashmere-Producing Spanish Goats”. Small Ruminant Research 16 (2). Small Ruminant Research: 113 - 119. doi:10.1016/0921-4488(95)00616-S. http://linkinghub.elsevier.com/retrieve/pii/092144889500616S. Browning, R., M.L. Leite-Browning, and T. Sahlu. 1995. “Factors Affecting Standardized Milk And Fat Yields In Alpine Goats”. Small Ruminant Research 18 (2). Small Ruminant Research: 173 - 178. doi:10.1016/0921-4488(95)00719-2. http://linkinghub.elsevier.com/retrieve/pii/0921448895007192. Zeng, S.S. 1996. “Comparison Of Goat Milk Standards With Cow Milk Standards For Analyses Of Somatic Cell Count, Fat And Protein In Goat Milk”. Small Ruminant Research 21 (3). Small Ruminant Research: 221 - 225. doi:10.1016/0921-4488(95)00838-1. http://linkinghub.elsevier.com/retrieve/pii/0921448895008381. Zeng, S.S., E.N. Escobar, and I. Brown-Crowder. 1996. “Evaluation Of Screening Tests For Detection Of Antibiotic Residues In Goat Milk”. Small Ruminant Research 21 (2). Small Ruminant Research: 155 - 160. doi:10.1016/0921-4488(95)00822-5. http://linkinghub.elsevier.com/retrieve/pii/0921448895008225. Zeng, S.S., and E.N. Escobar. 1996. “Effect Of Breed And Milking Method On Somatic Cell Count, Standard Plate Count And Composition Of Goat Milk”. Small Ruminant Research 19 (2). Small Ruminant Research: 169 - 175. doi:10.1016/0921-4488(95)00744-X. http://linkinghub.elsevier.com/retrieve/pii/092144889500744X. Smuts-Ayers, M., and T. Sahlu. 1996. “The Effect Of Various Levels Of Lysine Infused Intraperitoneally On Mohair Quality And Nitrogen Metabolism In Angora Goats”. Small Ruminant Research 20 (2). Small Ruminant Research: 113 - 119. doi:10.1016/0921-4488(95)00792-X. http://linkinghub.elsevier.com/retrieve/pii/092144889500792X. Puchala, R., Jennifer J Davis, and T. Sahlu. 1996. “Determination Of Mimosine And 3,4-Dihydroxypyridine In Milk And Plasma Of Goats”. Journal Of Chromatography B: Biomedical Sciences And Applications 685 (2). Journal Of Chromatography B: Biomedical Sciences And Applications: 375 - 378. doi:10.1016/S0378-4347(96)00221-6. http://linkinghub.elsevier.com/retrieve/pii/S0378434796002216.